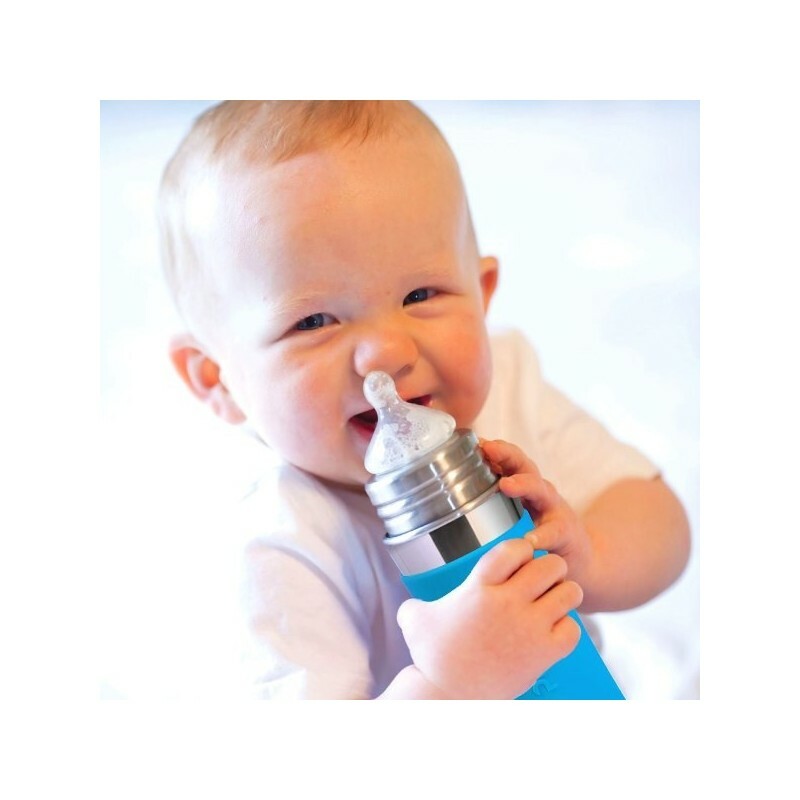 A stainless steel baby bottle designed to be used for years, not months by utilising adaptable lids so as your child grows, the bottle changes too. 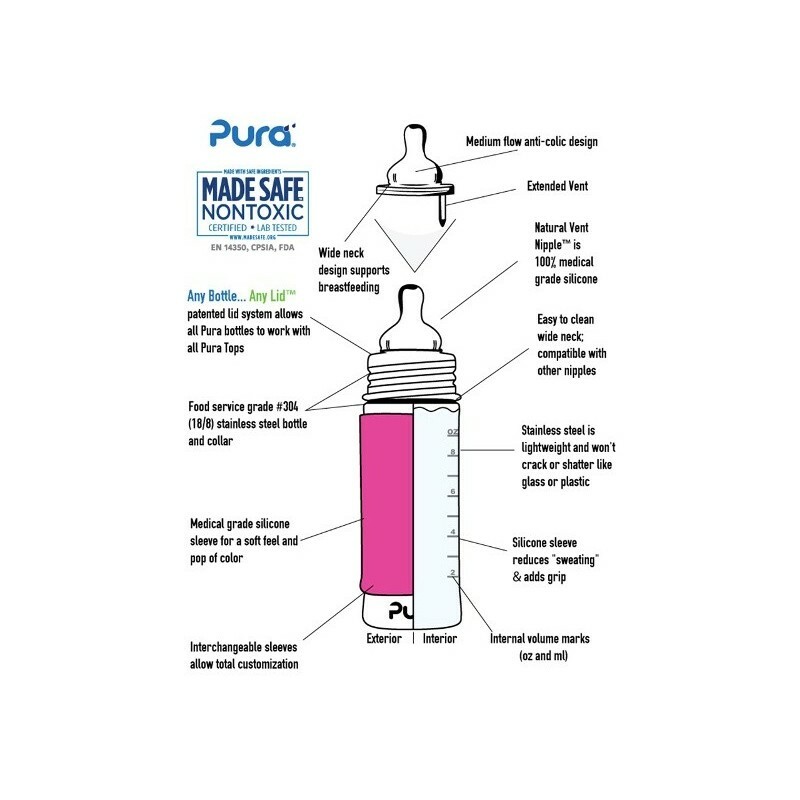 This bottle is fitted with a medium flow teat and suitable for children aged 3+ months. 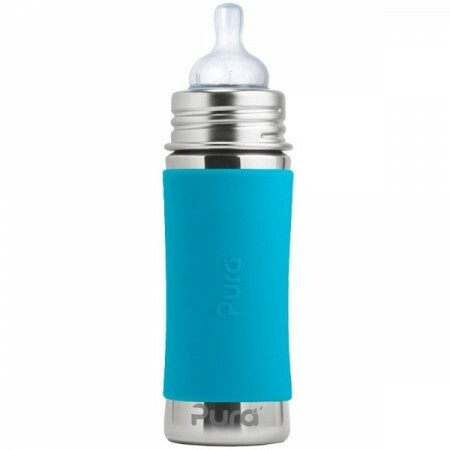 Features a grippy aqua silicone sleeve and slim profile vessel for small hands. Includes a travel cover for transport. 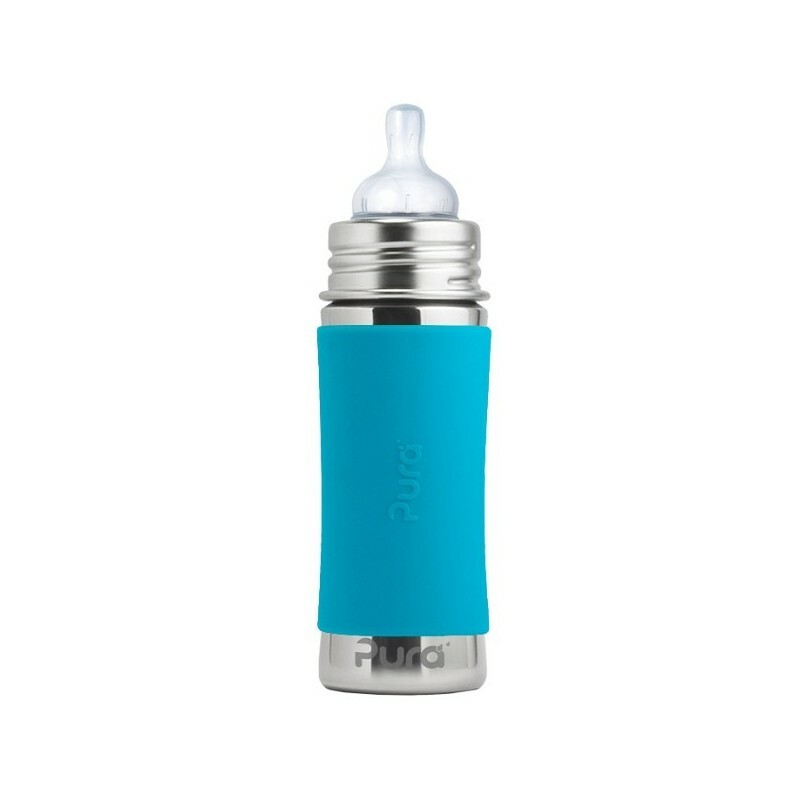 325ml capacity.